This commentary refers to the article doi: 10.1007/s00381-009-0952-1. Very few nosographic entities of neurosurgical interest as Sylvian fissure arachnoid cysts arise doubt about their best management, especially when these lesions are incidentally discovered in asymptomatic subjects. 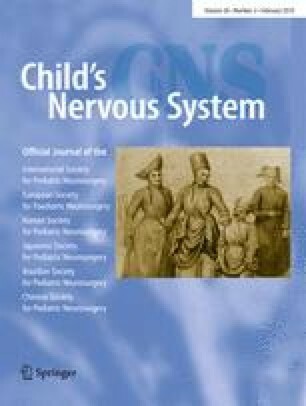 Currently, the debate, as demonstrated by the papers published in this issue of Child’s Nervous System, seems to concern the most appropriate surgical technique and, more precisely, whether temporal arachnoid cysts should be approached endoscopically rather than by craniotomy and microsurgical manipulation. Apparently, both techniques assure similar rates of successes, failures, and complications. In my opinion, however, the discussion should address a more fundamental question that is whether the past experience has provided a sound demonstration that the surgical excision is necessary or, at least, advantageous in all the cases, including the asymptomatic ones. To be less controversial, I would at least discuss whether past failures in the management of these lesions have allowed to individuate reliable criteria to distinguish those subjects who may benefit of the surgical management from those who should be only observed. Sylvian fissure arachnoid cysts, commonly denominated temporal cysts, are characterized by some peculiar features which differentiate them from the analogous lesions developing in other intracranial or intraspinal locations. Besides to be often recognized in asymptomatic subjects, these cysts when associated to symptoms and signs have been reported in conjunction with a so large variety of clinical pictures that is logical to wonder whether the combination is really depending on a cause–effect relationship. Indeed, besides “traditional” clinical manifestations, namely headache, increased intracranial pressure, epilepsy, psychomotor retardation, and intracranial bleeding, considered to be the typical presentation of this type of malformation are attention deficit, hyperactivity, maniac depression, schizophrenia-like symptoms, paranoia, psychoses anosmia, Menière’s disease, and hearing loss have been described in association with this malformation. From a survey published in this journal  aimed at analyzing the neurosurgeon’s attitude in case of symptomatic and asymptomatic temporal arachnoid cysts, it was apparent how the propension to operate increased when the symptoms and signs considered to be typical of these cysts were associated to the radiological image of a Galassi grade II temporal cyst (which was utilized to test the approach of several neurosurgeons from various international centers toward this type of lesion). However, when analyzed objectively on the grounds of the literature, the cause–effect relationship of these “classical” clinical manifestations of temporal arachnoid cysts appears to be quite questionable. Indeed, headache, which is reported in about 70% of symptomatic cases, is in most instances aspecific, chronic, unrelated to the cyst volume, or to the compression/distortion of the surrounding cerebrovascular structures. In most of the subjects who undergo intracranial pressure recording, these symptoms appear also unrelated to the intracystic pressure. Moreover, it is impossible to correlate postoperative brain re-expansion to the intracystic pressure. Concerning seizure disorder, the correlation with the presence of a Sylvian arachnoid cyst or the outcome following its surgical excision is uncertain. One fourth of the patients with epilepsy may have developmental cortical anomalies far from the cyst. The concordance between the cyst location and the semiology of the seizures is rare whereas controlateral EEG anomalies are quite common. With regard to psychomotor retardation, the amount of available information is very limited. Most of the data indicating postoperative improvement concern adults and have been reported mostly from a single research group . In fact, the reduced volume of the temporal lobe rather than the volume of the cyst has been blamed for the psychomotor delay. A further observation which challenges the role of temporal cysts in inducing psychomotor retardation is the preservation of language dominance on the side of the cyst in nearly all the cases. In other words, on the base of these observations, it cannot be avoided the suspicion that in numerous instances, the surgical indication is offered on the grounds of a customary attitude rather than the objective evaluation of the single patient. A further reason of doubt about the surgical treatment of Sylvian arachnoid cysts may be also seen in the lack of clear-cut criteria to define the success of the operation: the disappearance of the clinical symptomatology, the re-expansion of the compressed adjacent cerebral parenchyma, the normalization of the increased intracranial pressure, or the prevention of intracranial bleeding? Similarly, in cases of postoperative volumetric decrease of the cyst, which is the acceptable ratio of the pre- and postoperative size of the lesion that can be defined a surgical success? And can be defined a surgical success the volumetric decrease of the cyst which often can be seen to follow the placement of a cystoperitoneal shunt when it exposes the subject to the constant risk of shunt dependency or to the frequent late occurrence of the caudal herniation of the cerebellar tonsils due to a progressively increasing craniocerebral disproportion induced by the action of the shunt? Finally, if the decrease in size counts, should we then operate already small sized cysts? And how small should be a Sylvian cyst to be just observed or conversely how big to justify its surgical excision? In cases of asymptomatic subjects with incidental recognition of the malformation, most of the neurosurgeons who participated in the above-mentioned survey  were also in favor of a “prophylactic” operation which was motivated by the risk of intracranial bleeding due to a spontaneous or traumatic tearing of the cyst linings and their fragile vessels. Is such a risk so high to justify a preventive operation? A few months ago, an interesting paper on the actual incidence of intracranial subdural, epidural, and intracystic bleeding in patients with temporal arachnoid cysts (132 cases) was published in this journal . The observed risk was 2.27%. Interestingly, it is apparent from the experience by Spacca and her coworkers, here reported, that such a risk is not prevented by the surgical operation as an intracranial bleeding was observed by them also in operated on patients. Such a finding together with similar observations reported by other colleagues (C. Deopujiari, T. Tomita, personal communication) obviously challenges the prophylactic value of the surgical treatment of temporal arachnoid cysts for such a type of risk. Even more important for the discussion is the second natural complication of these malformations that is the spontaneous or posttraumatic tearing of the cyst linings resulting in a subdural fluid accumulation. In some cases, the phenomenon leads to an asymptomatic “disappearance” of the lesion as firstly observed by Beltramello and Mazza . In others, the event causes a subdural hygroma, the signs and the symptoms of which gradually resolve in a certain period of time . In further other cases, the rupture of the cyst results in a subdural hygroma which requires a specific surgical management. From the literature review made by Bilginer and coworkers in the previously cited paper , it is possible to extrapolate a similar incidence of the last evenience to that of an intracranial bleeding that is around 2%. An even minor incidence that is half of that of intracranial hemorrhages may be obtained by the retrospective analysis carried out by Parsch and coworkers  on 658 cases collected from the literature of subdural hygromas or hematomas. Interestingly, the authors found subdural hygromas only in the pediatric age population. Out of the five cases described in the paper, one presenting with generalized seizures underwent a mere conservative treatment, two solved with a burr-hole, two required external drainage, followed by a cyst fenestration in one case and the placement of a subduroperitoneal shunt in the remaining case. In 1996, Fewel and coworkers  reported 95 operated on cases with five postoperative subdural effusions, four of them following a cyst fenestration procedure, and one the insertion of a cystoperitoneal shunt. All of these five subjects required shunting therapy. A similar incidence (5.8%, six cases out of 104 operated on Sylvian arachnoid cysts) was also observed in a personal series we published in 2003 . Our results allowed us to conclude that the surgical treatment of Sylvian arachnoid cyst is weighted by a rate of postoperative subdural hygromas requiring surgical treatment at least twofold higher than that reported for spontaneous or posttraumatic hygromas. In my opinion, such an observation, together with the possible occurrence of late intracranial bleeding even in operated on patients, obviously challenges the value of a “prophylactic” surgical treatment of Sylvian arachnoid cysts, at least of those incidentally discovered.